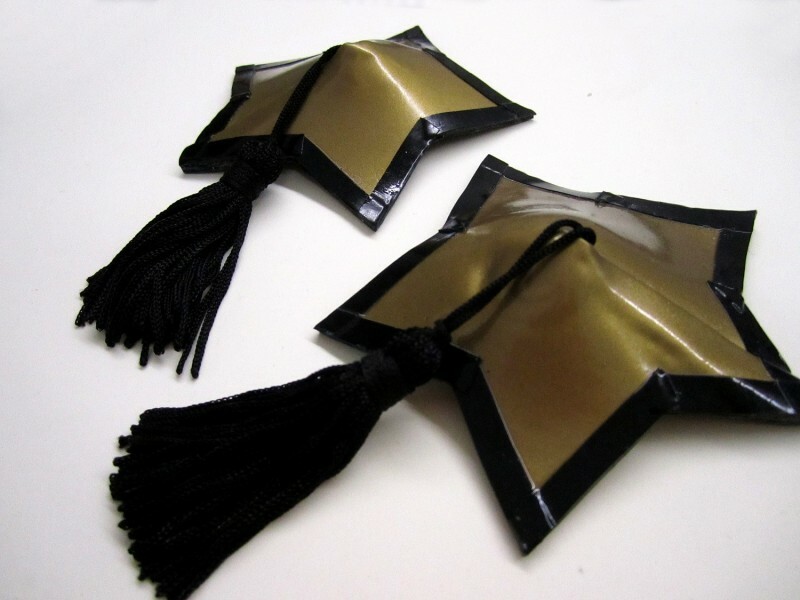 Star-shaped, anatomical formed latex pasties with tassels and one trim. Leather inside. Tassels available in dark green, red, purple, dark blue, black, white and off-white (=latex white). Please state the desirable tassel colour. 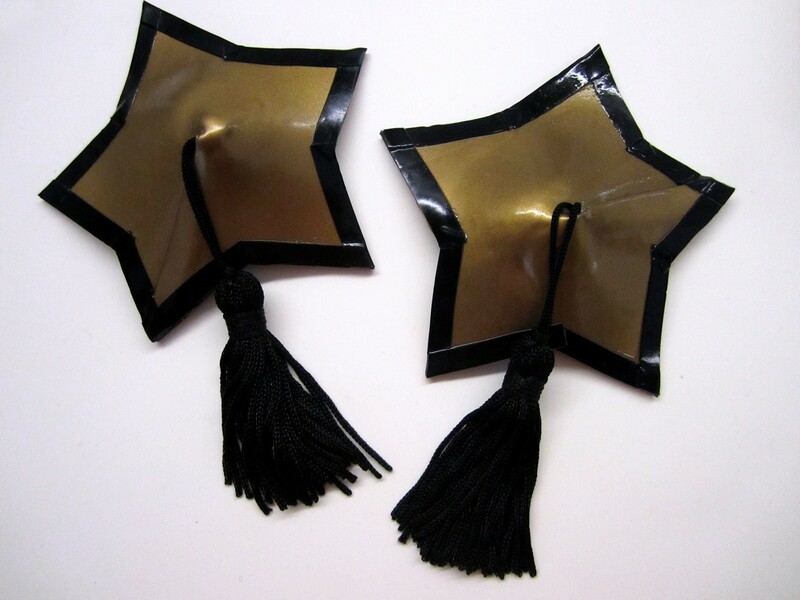 Description: Star-shaped, anatomical formed latex pasties with tassels and one trim. Leather inside. Tassels available in dark green, red, purple, dark blue, black, white and off-white (=latex white). Size selectable.